...I'm back logging some of these shirts to when they were actually made. This was the first of the sprite shirts. 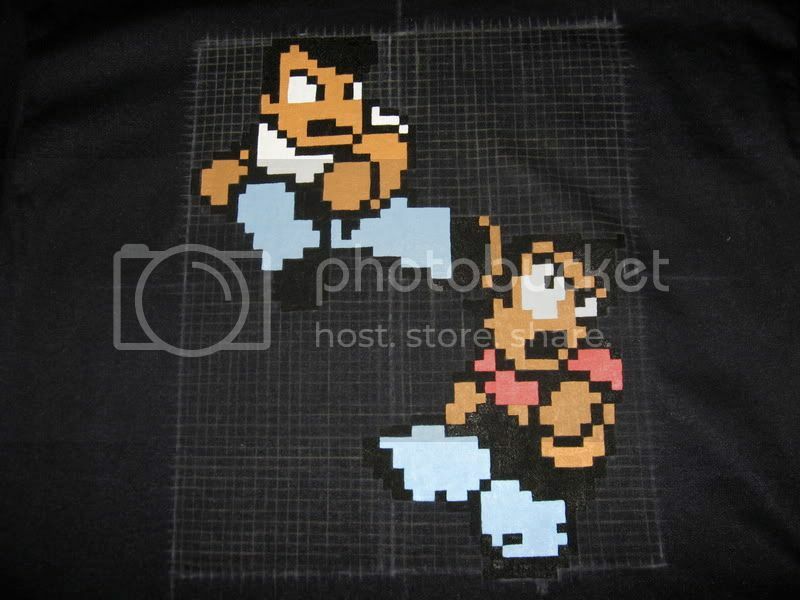 'Pixels' are 1/2 cm x 1/2 cm, grid is 55 x 43. It's about as small as I can get the pixels without having difficulty. How can I go about purchasing this shirt? I want to buy a shirt with this design, where can I ?? ?